The Parish Council is the first tier of local government and exists to represent the interests of the whole of the parish / community which includes Collingtree Village and Collingtree Park. Following a review in 2010, changes were made to the boundaries between the Nene Valley and East Hunsbury wards to equalise the number of electors. 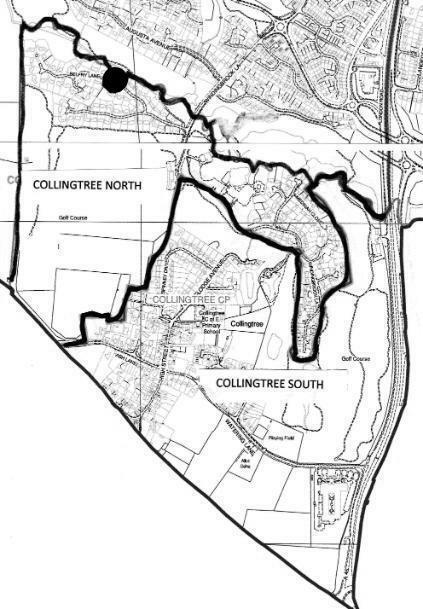 As a result the Collingtree Parish is divided between the two wards with the 'Collingtree North' (Collingtree Park) section coming under East Hunsbury ward and 'Collingtree South (the original Village) remaining in Nene Valley ward. There continues to be 7 members of the Parish Council, with 3 from the north and 4 from the south. Councillors are elected every four years (next election was scheduled to run May 2019) Northampton Borough Council have now confirmed that all the elections, including Parish elections, across Northamptonshire that are scheduled to take place in May 2019 are now scheduled to take place in May 2020! The elections have been postponed for a year to run in alignment with the Government Elections. All Parish Councillors live in the community. The position is purely voluntary and attracts no payment. The Parish Council is consulted on a range of planning and highway proposals that affect the parish. The Parish Council raises money through a local tax (precept) for projects that benefit its residents. The Parish Council has strives to improve the appearance and safety of the Parish. The Council has direct responsibility for the street lighting and the management of the playing field for the benefit of all residents. It is the responsibility of the Parish Council to represent the interests of the whole community which includes Collingtree Village and Collingtree Park. Councillors have a responsibility to keep up to date with local issues. Members are allocated certain responsibilities. If you need to report matters of concern in the Parish please report them to the allocated Councillor who will assist you with your query or pass it on to the Parish Clerk. From December 2017 the maintenance of the grass verges, tree trimming and other adhoc duties is covered by local workman Rob Flight. Please feel to highlight any issues or areas in the Parish that may need some attention. If you have any questions that you would like answered, or want to share any views with the Council or even spot any problems that need reporting in the Parish, please contact the Clerk Mrs Shirley Wong in the first instance.